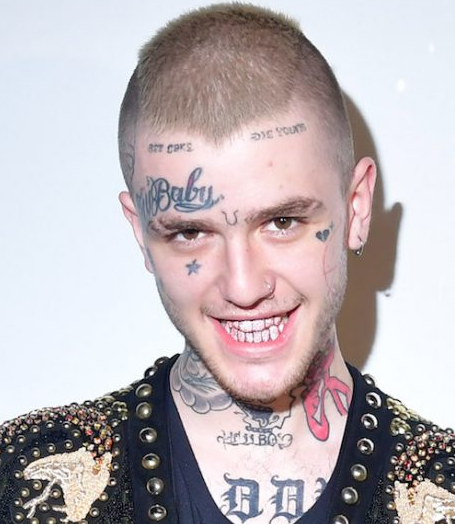 Gustav Elijah Ahr popularly recognized as Lil Peep was a famous professional rapper, songwriter as well as singer. He released 4 mixtapes, 6 Extended Plays, and 1 studio album in his music career which spanned from 2014 to 2017. He was known for being part of a "post-emo revival style of hip-hop". His music contains lyrical themes regarding topics such as depression, drug use, past relationships, and suicidal thoughts. He had been described as the future of emo by Steven J. Horowitz of online magazine Pitchfork. Lil Peep left this world on 15th November 2017 due to the drug overdose. Lil Peep was found dead on his tour bus when his manager went to check on him in preparation for that night's performance at a Tucson, Arizona venue on 15th November 2017. The cause of death was believed from an overdose. On 8th December, the Pima County Office of the Medical Examiner released details from a toxicology report, certifying the cause of death was an accidental overdose due to the effects of the pain medications fentanyl and alprazolam. Urine tests also showed the presence of multiple powerful opiates, including Hydrocodone, Hydromorphone (Dilaudid), Oxycodone and Oxymorphone. There was no alcohol in his system. He was cremated at Huntington Station, New York. Posthumous Lil Peep album is on the way. "Falling Down" a previously unreleased collaboration between Lil Peep and XXXTentacion, both of whom died in the past year, will be released on Columbia Records Wednesday morning at 9 a.m. ET. The forthcoming posthumous release won’t drop before October, according to the Times. The song is the first collaboration between two rappers both passed away young and never worked together while they were alive. For serving as one of the leading proponents of the emo hip-hop music genre. For being one of the most popular rappers that have used Soundcloud to fuel their career ascent and social media popularity. Lil Peep was born on 1st November 1996 in Allentown, Pennsylvania, the U.S. with a birth Gustav Elijah Ahr to Karl Johan Ahr and Liza Womack, his parents. His sun sign is Scorpio. He was grown up on Long Island, New York. His mother was a first-grade teacher and his father was a college professor. His parents were both Harvard graduates who divorced when he was a teenager. Regarding his education, he attended Lindell Elementary School and then Long Beach High School in Lido Beach, New York. He later dropped out of the high school and took online courses to earn his diploma. Before his fame, he used to post his music on YouTube and SoundCloud. Lil peep has got a slim body build. He looks very attractive, handsome and cool with a slim body. His tall height is of 185 cm (6 ft 1 in). He has got a balanced and healthy body with a weight of 74 Kg. He has a hair color of Dark Brown and eye color of Dark Brown. He was pretty fond of body art and had got Get Cake Die Young tattooed on the right side of his forehead, just below the hairline. Lil Peep started his career with the inspiration of underground acts like Seshhollowaterboyz and iLoveMakonnen and later he met up with Memphis producer JGRXXN and Florida rappers Ghostemane and Craig Xen. He told that he met Craig Xen online. After his many hard works, he released his first mixtape, "Lil Peep Part One" in the year 2015 which was played 4,000 in its first week. After that he released his first extended play, "Feelz", and another mixtape, "Live Forever". 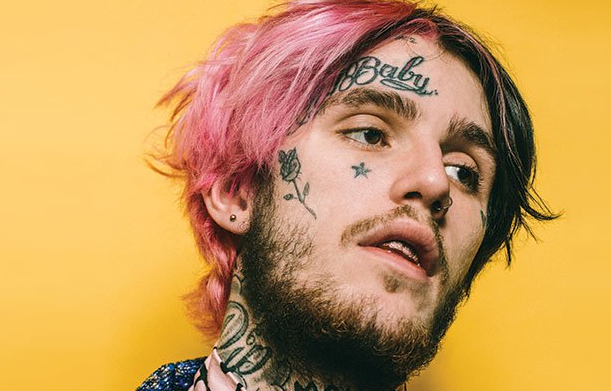 He began to rose in the world after his song "Star Shopping" from "Lil Peep Part One" and then released his new song "Beamer Boy" which led to him perform live on March 2016 in Arizona. He then began to associate with Los Angeles-based rap collective, Gothboiclique, featuring members of the group on his full-length mixtape "Crybaby" which was released on June 2016. In the September of the year 2016, he released "Hellboy" album which contains the song as "Girls" and "OMFG" which gained millions of views and also plays on SoundCloud and YouTube. Later, the band "Mineral" accused Peep of copyright infringement for including an unlicensed and uncredited sample of their song "LoveLetterTypewriter" in his "Hollywood Dreaming" track in May 2017. He announced his debut album, "Come Over When You're Sober", via Instagram on June 2017 and it was released on 15th August 2017. Then, the tour began on 2nd August 2017, and was scheduled to end on 17th November 2017, but was cut short by two days due to his death. The single "Awful Things" from Come Over When You're Sober, Part One charted, becoming his first and only entry on the Billboard Hot 100 at number 79 following his death. The first official posthumous release arrived within twenty-four hours of his death, as Wiggy and released the official video for an unreleased song "16 Lines". Marshmello officially released a collaboration entitled "Spotlight" on 12th January 2018 and the video was released on 12th February 2018. Rapper Juicy J released the song "Got 'Em Like", which featured Lil Peep and Wiz Khalifa on 15th January 2018. SoundCloud rapper Teddy released a song collaboration with Lil Peep entitled "Dreams & Nightmares" on 27th January 2018. Makonnen announced a new Lil Peep single titled "Falling Down", a reworking of "Sunlight on Your Skin" that he recorded with Peep in the fall of 2017 in London on 17th August 2018. Lil Peep was not married but he was in a relationship with Arzaylea Rodriguez. He eventually made their relationship public by sharing her several pictures with one reading ‘Mine’ and another picture focusing on her forearm tattoo that read "Yours". They were still in a relationship when he passed away in November 2017. Arzaylea reportedly was on a flight back from London when he died because of overdose. Previously, he was in a relationship with Bella Thorne, an actress. Their relationship wasn’t publicly acknowledged until his death in November 2017 as she shared several pictures on her official social media accounts in her heartbreaking tribute to her former boyfriend. They were together since the summer of 2017. The kissing picture of them also went viral on social media. Their last appearance together was in September 2017. Lil Peep, a famous well-known professional rapper, as well as a singer, had earned a net worth of $300 million at a time of his death. His major source of earing was from his singing career. In addition to his music, he also sold a variety of merchandise including hats, hoodies, tees, and posters.